Mon – Thu, 5 a.m. – 9 p.m.
Fri, 5 a.m. – 7 p.m.
24 hours a day, 7 days a weekFitness Testing: Monday – Thursday at 8 a.m., 10 a.m., and 1:30 p.m. Aerobics room and track may be unavailable or have limited usage availability 8 a.m. – noon and 1:30 – 3:30 p.m. due to testing. April 13 – Powerlifting Competition, 10 a.m. Bench Press, Dead Lift and Squat! First place prizes to male and female. Sign up by April 12. Start off the New year with a new YOU in this fitness challenge! Lose weight, lose bad habits, lose the excuses. Operation Lose It , January 2 – April 5, will reward participants with tickets for drawings and prizes for completing tasks on the Bingo Caller’s card for a specific time period. Final drawing will be April 5 at noon. Two random winners will be drawn out from a box. Last day to register is January 11. Ever wanted to hike the Appalachian Trail? Compete in this 2,200 mile hiking challenge. There are incentive prizes for reaching goal markers and prizes for top male and female who completes and hikes the most at the end of the year! Registration begins January 2. Cycle across America in this 4,228 miles cycling challenge. There are incentive prizes for reaching goal markers and prizes for top male and female who completes and cycles the most at the end of the year! Registration begins January 2. Volunteers Needed Volunteers are needed for these events, if interested, please contact the Fitness Staff at 773-6199. Assistance is greatly appreciated. Event Participation Participants must be 18 and over and may be dependents, active duty, reserve, guard, retirees or civil servants. Events will be cancelled if we do not receive signups by the deadlines provided. Please make sure to sign up if the event requires it! Get Fit with Freedom Hall! Aerobic classes offered weekly. F.E Warren has two fitness centers on base. Freedom Hall and Independence Hall are open to all active duty military, retirees, their families and civilian workers who qualify. Freedom Hall is our main facility that includes the 90 MDG’s HAWC. Complete with free weights, selectorized equipment, cardio equipment, 3 walleyball/racquetball courts, Parent/Child room, Parent/Youth area, aerobics room, gymnasium, men’s and women’s locker rooms and saunas. We host many special events and offer four intramural sports through the year. Located at 6000 N. Schriever Rd, near the Child Development Center. Call us at 773-6175 for more information! Independence Hall is our 24hr facility that offers selectorized weight equipment, cardio equipment, an aerobics room and F.E Warren’s only indoor running track! Also housed in Independence Hall is the Fitness Assessment Cell (FAC) that conducts all Fitness Assessments (FA) for the base. To schedule your FA, contact your unit UFPM. FA’s are conducted Monday-Thursday every week. Due to the use of the aerobics room and the track to conduced FA’s, restricted accesses to those areas during testing do occur. Located at 6711 10th Cavalry. Call 773-3680 for more information. Hours of Operation: Open 24hrs with CAC access. CAC cards MUST be registered for you to use and enter the building. Member needs to register at Independence Hall and card holder MUST be present. Anyone requesting access will need to sign a waiver and have card registered. Registration time is Wednesdays 1200-1300 and 1630-1730. Must be 18 to register and utilize the facility. Around the base, there are three tennis courts, three softball fields, three multi-purpose fields, a 1.3 mile track and a 400M track. Your Fitness Staff offers equipment orientations upon request during all open hours at Freedom Hall Fitness Center. Let us walk you through our facility so you can maximize your efforts and help minimize risks of injury. Freedom and Independence Hall Fitness Centers have space available for units to reserve on a quarterly basis for squadron PT. Get with your UFPMs to see your squadrons current reservations. Need help with your fitness assessment (FA) or just need a good push to work out? 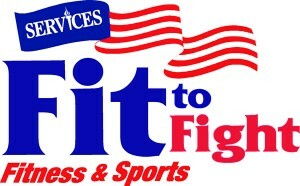 Come to our FIP classes offered Monday, Tuesday, Thursday and Friday at 6 a.m. and 3 p.m. at Freedom Hall Fitness Center. These workouts change daily and will consist of cardio and strength portions. As part of the program, mock FAs will be conducted so you can see where you are and how much you have improved. NEW! Sandbag training days now every Wednesday at the Independence Hall Fitness Center. This training session will be held by Chief McCoy and his unit. Challenge yourself a step further by attending this intermediate training session to get that PT score you have always wanted. This exercise room is open to parents to use while watching their own children in a space provided for children. It is equipped with a treadmill, cross trainer, recumbent bike, stepper/climber, weight machine and mats. The children’s area has a TV/VCR/DVD player and seating area. All movies can be no more than G-Rated. Parents are asked to sign in at the front desk and respect the rules of use. Children need to remain in the gated, secured area while the parent is working out and parents cannot leave their child/children unattended at any time. PC Room is for parents with children 0-5 years of age. This area is designed for kids ages 6-12 and their parents to work out together! In this area we have youth and adult size cardio equipment and weight equipment. Your child MUST be 6-12 years old to use the area, and both the parent and youth will need to attend training before using the space. Please note that due to the nature and amount of equipment and AFI restrictions, no children under the age of 5 are allowed in the area.